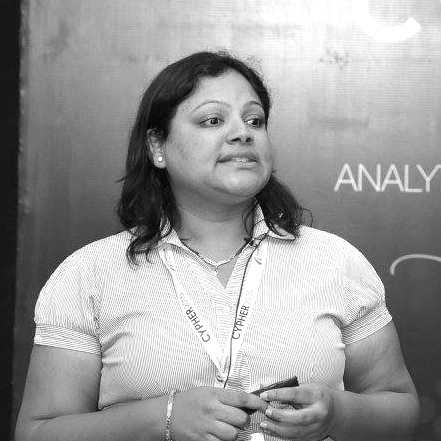 Ankita Gupta is a consultant with AnalytixLabs. Starting her career with McKinsey where she helped set-up the Analytics team in 2004, she has had a core focus in the Marketing Analytics area. Post almost 8 years with McKinsey, she then moved to Fidelity Investments to own the analytics for their UK client-side businesses. As a part of her work, she has worked across various industries like Healthcare, Telecom, Banking, Hi- Tech across various countries like Japan, Russia, UK, US concentrating in domains like Choice Based Modelling, Customer Lifecycle Management and Pricing. Ankita holds a Maths Hons degree from St Stephen’s College, Delhi University and has also completed her MBA from ISB, Hyderabad. She loves to travel and read.